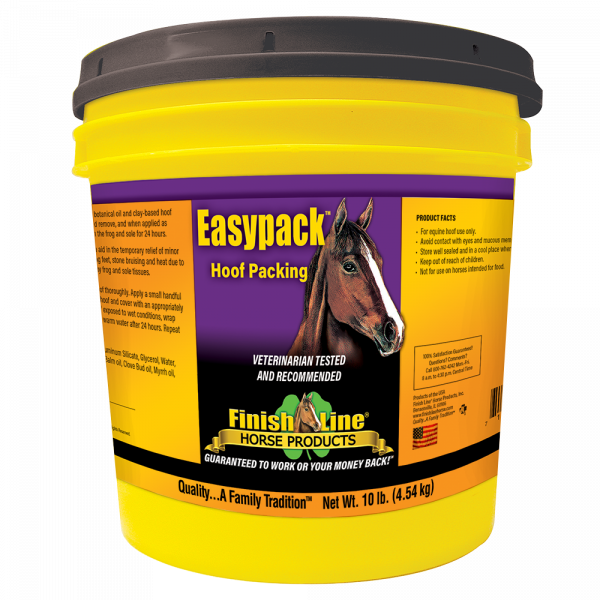 Easypack™ is developed as a hoof packing for stinging feet, stone bruising, heat, and other minor hoof problems. 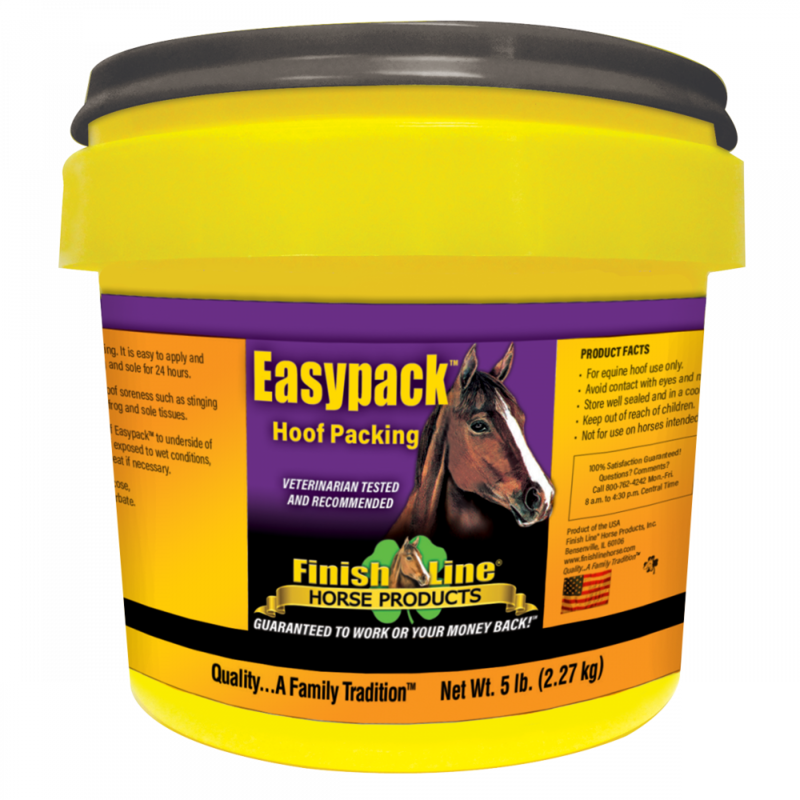 This amazing hoof packing product promotes healthy hooves in horses. 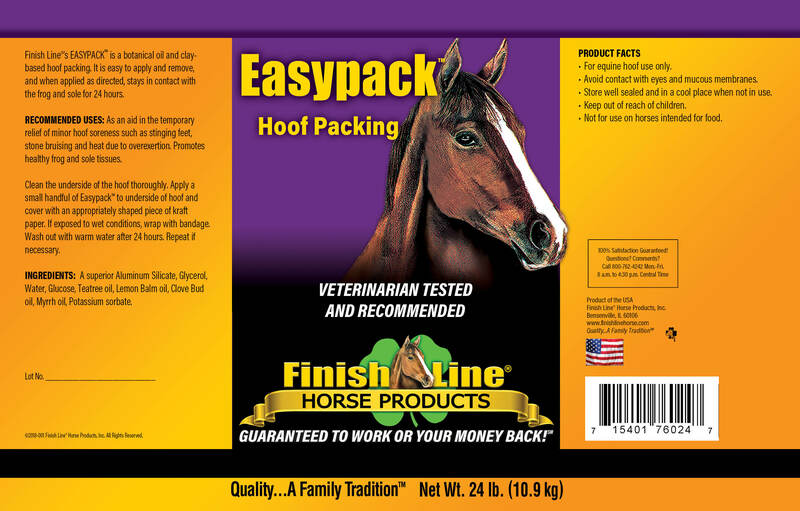 Use on abscesses also. Ingredients include Aluminum Silicate, Lemon Balm Oil, Teatree Oil, Clove, and Myrrh Oils. Easypack™ was formulated in a sticky base that stays in place in the hoof better than a leg poultice and dries very slowly. Washes off easily with warm water.